3D Photo is a new feature on Facebook designed to make photos more immersive in your news feed. It captures the distance between the subject in the foreground and the background of a photo to bring scenes to life with depth and movement. To capture photos, you need a dual lens camera, especially an iPhone with Portrait mode. When you take a photo on Facebook, the social network uses AI to create the image. Above, video shows steps for activating the 3D photo feature on your iPhone. 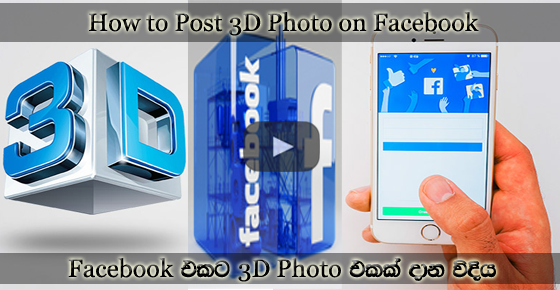 Your 3D photos will be visible to all Facebook users, not just those with specific devices. Photos can also be viewed in virtual reality with Oculus Browser on Oculus Go or Firefox on Oculus Rift.